If you have any questions about Highrock, an upcoming event, or just have a question for us, email hello@highrockbrookline.org. To get in touch with one of our staff members, see our staff directory. If you have a prayer request or praise report you'd like to share with our pastors, fill out and submit this form. On Sundays we meet at Temple Ohabei Shalom in the Montague Chapel at 1187 Beacon Street in Brookline, MA. For more detailed information on getting here on Sundays and what to expect, head over to our Visit Page. Our office and multi-function event space is located at 39 Harvard Street in Brookline, MA. 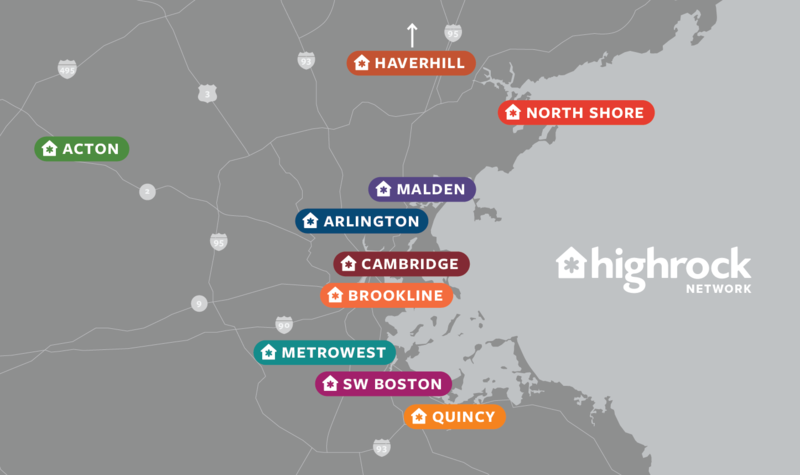 Highrock Brookline is part of the Highrock Network of neighborhood churches in the Greater Boston area. Here are some ways to get connected with us! The Highrock network is an ever-expanding family of neighborhood churches and ministries. Here is a list of the other churches in the network, along with other ministries we support.